A Gay-Straight Alliance (GSA) provides a safe place for students to discuss issues, meet others, and get support from those who care. Gay-Straight Alliances: A Handbook for Students, Educators, and Parents explains exactly how to begin this important type of school club that helps build positive relationships and promotes knowledge and tolerance. This guide tells students what it takes to start a GSA at their school, teachers how best to work with GSAs, and helps principals and superintendents to understand the applicable laws. Parents who read this book can discover for themselves just how positive an influence the GSA may be in their child's life. Beginning a Gay-Straight Alliance (GSA) takes courage as well as the support of educators and parents. Gay-Straight Alliances: A Handbook for Students, Educators, and Parents discusses all aspects of this type of school club, including the issues and challenges students will face when forming it. Teachers are given helpful perspectives on how to meet the inevitable concerns of parents and public officials and how to be an effective advisor. Principals and school officials are given an overview of the federal laws and the responsibility of schools to adhere to them. The book includes appendixes with helpful resources on sexual orientation and gender identity development, LGBT issues and schools, and the 1984 Federal Equal Access Act. 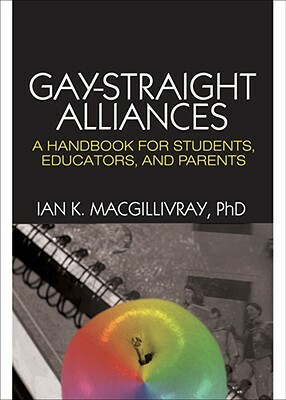 Gay-Straight Alliances: A Handbook for Students, Educators, and Parents is a valuable guide for students wanting to start a Gay-Straight Alliance (GSA) at their school, for teachers on how to best work with GSAs, for principals and superintendents on GSAs and the law, and for parents who have children in schools with GSAs.